The concept of 'casting' content from phone to TV or other media player isn't new, of course. We've had screen sharing and DLNA and so forth for a while, on all platforms and all devices, though sprinkled with rather a lot of compatibility issues. 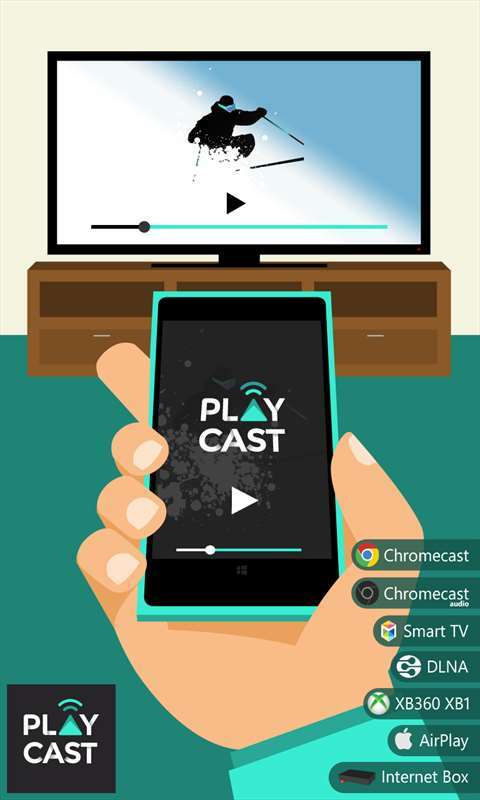 Playcast is a UWP application for Windows 10 Mobile that attempts to bring sense into the world of casting whether it's to a Miracast-capable TV or to a Google Chromecast accessory, presenting your own media to the destination player in a sensible and hopefully glitch-free fashion. In fact, this review has been in the offing now for six months, since Playcast first appeared. 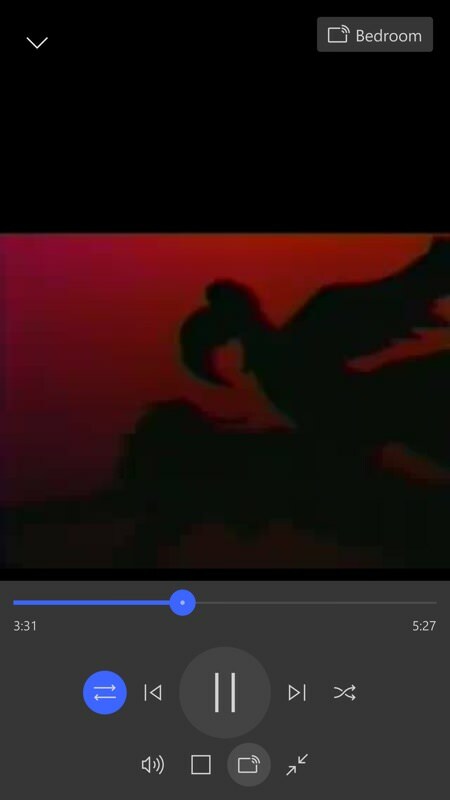 We already had Tubecast from the same developer, which uses the Chromecast's own YouTube capabilities to control YouTube playback from a Windows Phone - and pretty reliably now. But Playcast is unashamedly Windows 10 only and is designed to use local content on the phone, streaming it over Wifi to any compatible screen. Both applications are ambitious, but Playcast has had more than its fair share of quirks and glitches, leading me to delay review until it was truly usable. 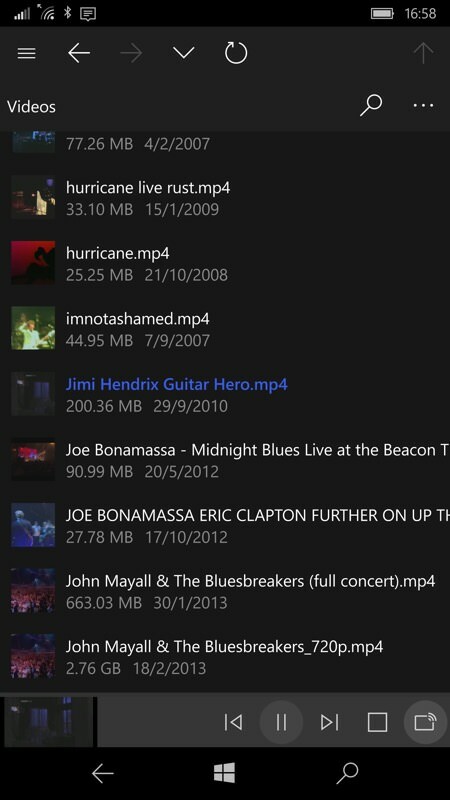 This is now the case, after an update a few days ago - I've been browsing around my Lumia's captured photos and videos, playing back locally saved music videos, media on Dropbox and Google Drive, and so on. With only minor caveats, of which more below. Playcast certainly isn't finished yet, but it's certainly reviewable now. The full compatibility list, from the Store description, is Chromecast, Chromecast Audio, Apple TV (AirPlay), DLNA Smart TV, Miracast, Internet Box, XBOX One, XBOX 360 or, of course, any streaming-compatible SmartTV that has one of those standards built-in. For my testing, I was using a Google Chromecast 2, an invaluable little gadget that we use for chilling out with YouTube, Netflix and Now TV in the evenings. 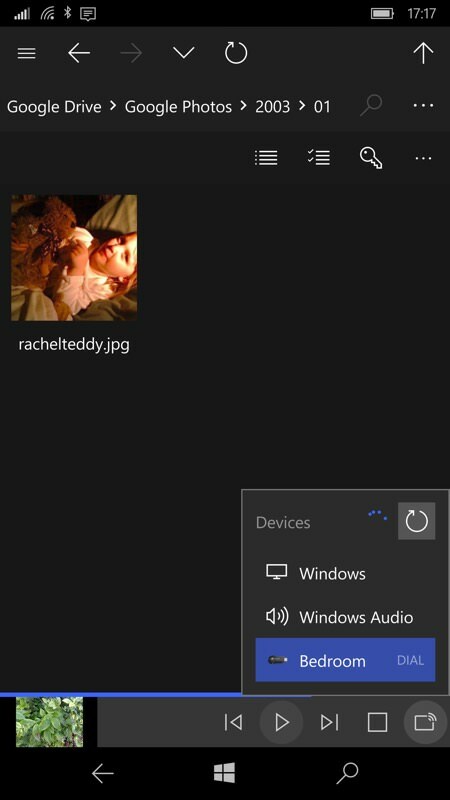 With Playcast, I can now use my Windows 10 Mobile phone to also pop-up my recent photos or videos, or stream media from various other sources. I should emphasise that, like any system (on any platform) where media is streamed from one device to another, there's more overhead involved than when simply asking the likes of a Chromecast to play from a specific URL (part of the genius of this accessory, since there's no load on the phone/tablet at all). But it does all work, and now pretty reliably with the latest version of Playcast. 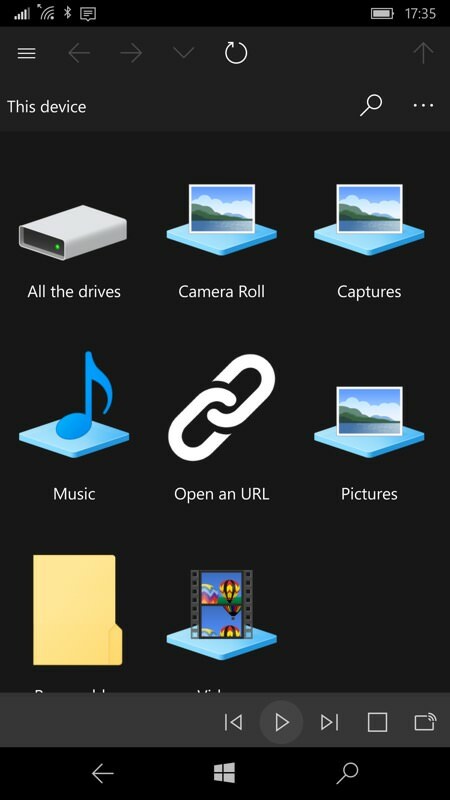 Although shown here with Windows controls in most screens, these can be swiped away as usual with a UWP, giving more screen real estate when needed. 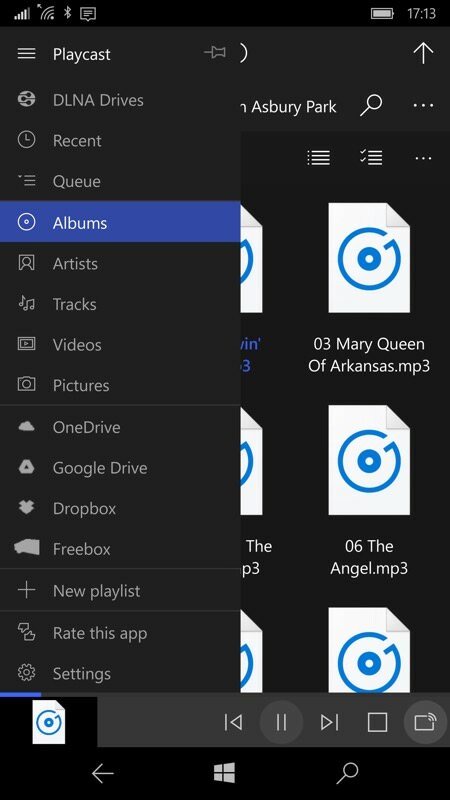 The Playcast UI is based around lists of media, as you might expect, with a hamburger menu letting you navigate between all the various sources, both local, connected and in the Cloud. it's nothing if not comprehensive. Bottom right in the UI is a cast icon - tap this to see what you can connect to - in the screenshot below, we have a Chromecast called 'Bedroom'. 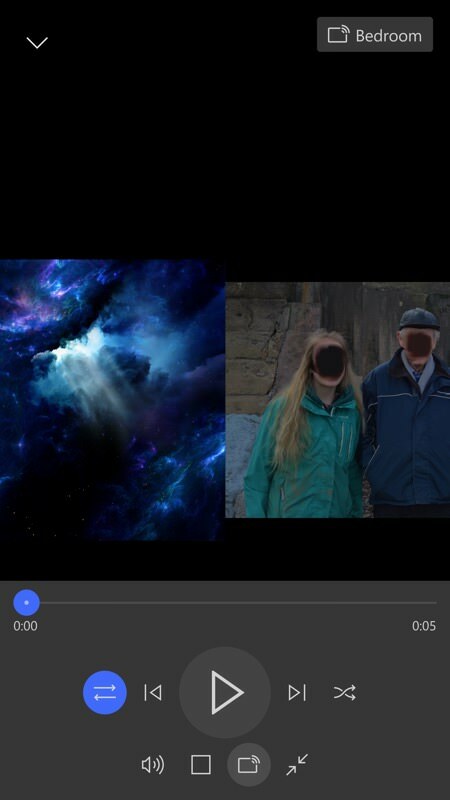 Once connected, at Playcast's simplest, you then call up the photo or music file or video you want to view and within a second or two (depending on how large the item is and how long it takes to transfer or start streaming) you're watching and listening on your connected TV or other big screen. The experience on the phone is somewhat basic despite all the UWP UI goodness. 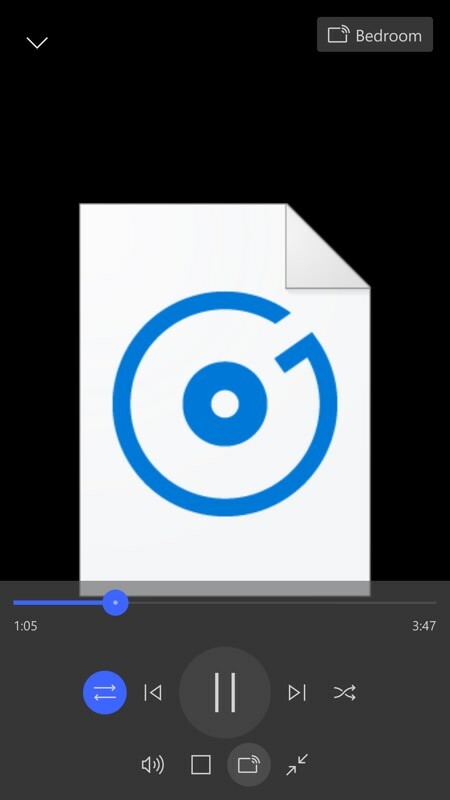 So music tracks are missing their album art - not essential, but definitely a 'nice to have' in 2016, especially when the basic icon appears blown up on the phone and connected TV screen. Would it be too much to ask for, Webrox (the developer), to use the artwork in the tracks or scrape something suitable off Amazon or off the web? Or have a choice of visualisations for the big screen? Still, the music itself gets streamed loud and clear, which I guess is the point of the exercise. But even laying aside the lack of artwork, not even having the track name and/or artist shown is disappointing - admittedly the song title appears on the connected TV, but it should also be mirrored at least on the phone. Next, as shown above right, when playing back a video there's also no textual confirmation of what you're playing/casting - you just get the first frame of the video. There's definitely work to be done here. The media controls do work well though, so Webrox is making good progress with this client. I tested casting with 720p content and below (i.e. 'TV resolution') - I suspect that 1080p content would see longer startup delays and/or buffering issues, depending on what you're casting to and its capabilities. Photos are handled with a (configurable) slide show and you can pause or advance it at any point. The Playcast screen mirrors where you've got to and the rendered quality is excellent, though on our Chromecast there's a time delay between each photo of around three seconds, i.e. a blank screen. This is probably down to how the Chromecast works and maybe other DLNA/Miracast receivers would provide a speedier JPG experience, but this is worth noting at the very least. Playcast works in English or French, I'm sure other languages will follow, there's not that much to translate in the UI, after all. 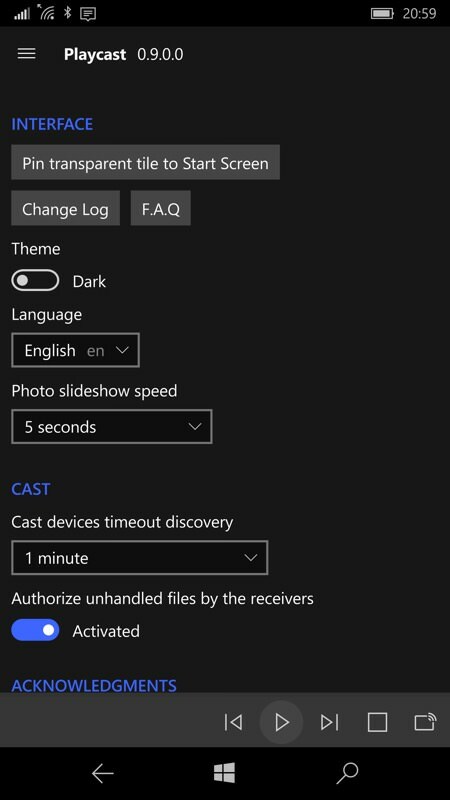 The ability to change the time delay between photos in slide-shows is about the only other non-techy thing you can fiddle with, but there's not much fiddling needed because Playcast now works reliably. At least on my equipment - I realise that tech-comms is a dark and black art still, even though you'd have hoped that it wouldn't be in 2016! Overall though, I was impressed - I bought Playcast with my own money happily, since this solves a problem for me. Yes, there are other ways of hooking up to living room TVs to show my photos and videos, but (with a little Chromecast help) this is potentially one of the slickest. Certainly if you have any of the compatible systems listed above then Playcast is well worth buying and then sticking with. Oh, and being a UWP, it'll also work on your Windows 10 tablet or laptop, of course, should you be on this and not your phone. You can buy Playcast in the Store here. Thankfully, the over-complicated in-app-purchase system used in Tubecast is nowhere to be seen - you just buy it and you're done. Phew. 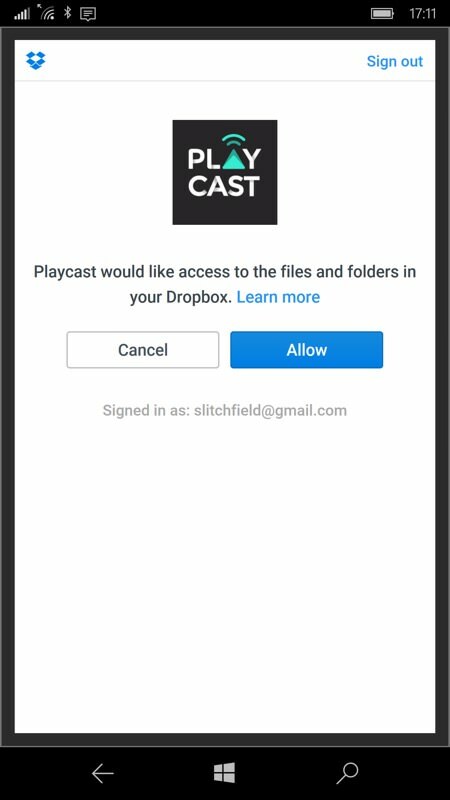 Comments welcome if you've bought and have tried out Playcast with your equipment - how did it work for you?